John Coggins is Professor of Molecular Enzymology and an Honorary Research Fellow in the Faculty of Biomedical & Life Sciences. He retired from his post as Vice-Principal of Life Sciences, Clinical Medicine and Veterinary Medicine in September 2009. He was appointed FRSE in 1988 and OBE in 2008. 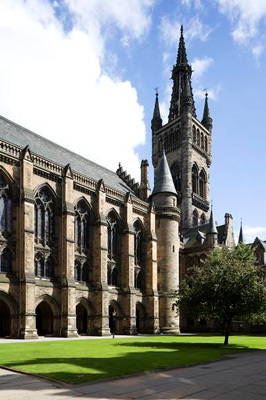 A graduate of Queen's College, Oxford, and the University of Ottawa, Coggins joined the University of Glasgow Department of Biochemistry in 1974. He was Head of Division of Biochemistry and Molecular Biology from 1997 to 1998 and Director of the Faculty of Biomedical and Life Sciences from 2000 to 2005. He then began his post as Vice-Principal of Life Sciences, Clinical Medicine and Veterinary Medicine in 2006. He is on the national advisory board for the Research Information Network (RIN), Chair of the Heads of University Biological Science Departments and Vice-President (Life Sciences) at the Royal Society of Edinburgh. His research has expanded our knowledge of the structure and function of biosynthetic enzymes which led to novel applications in drug development and safe herbicides.